A trusted name throughout North Carolina, attorney Zach Jackson prides himself on his ability to help clients through a variety of family law issues. From divorcing spouses to individuals completing essential estate planning documents, a variety of North Carolina residents have turned to Zach Jackson Law for guidance through the area’s complicated legal arena. An acclaimed family law attorney, Zach Jackson works extensively with clients in the midst of the divorce process. These individuals must work with their spouses to make a variety of very important decisions, including how their shared property will be divided, whether the children or one of the spouses will be eligible for support, who will have custody of the children and how often the non-custodial parent will be able to visit his or her kids. Although the majority of his work involves divorce and associated family law cases, attorney Zach Jackson also enjoys working with estate planning clients. These individuals require assistance from North Carolina estate planning attorneys as they struggle to resolve a variety of complicated issues, including power of attorney, healthcare directives, guardianship designation and more. A family law attorney’s number one goal is to achieve legal outcomes that benefit all of the clients’ family members. Ideally, a seemingly contentious case can be resolved through such peaceful approaches as mediation or alternative dispute resolution. In some cases, however, these approaches may not be advisable, particularly if the pursuit of mediation is deemed harmful for the clients’ children. While meeting with North Carolina family law attorneys, clients are informed of the various approaches they can take. Zach Jackson is willing to provide targeted feedback regarding the pros and cons of various methods and how these may impact the client and his or her family. Ultimately, however, it is up to the client to make a final decision. Depending on the chosen approach, a family lawyer’s next step may involve gathering evidence to be used in a court of law or working with the client and other parties in an alternative setting. In both situations, Zach Jackson serves as a passionate and trustworthy legal advocate, working tirelessly to ensure that the best solution for all parties is achieved. 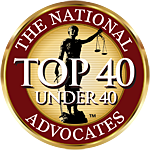 Since receiving his Juris Doctor from the University of North Carolina School of Law, attorney Zach Jackson has achieved an excellent reputation for his impressive body of work in family law. His clients frequently express admiration for his compassionate and respectful candor. The kindhearted attorney understands the devastation that often accompanies contentious family law cases. Such cases hold the potential to completely tear formerly close families apart. Fortunately, with the help of a caring family lawyer, it is possible to make difficult decisions regarding child custody, division of property, spousal support and estate planning without causing significant harm to children and other family members impacted by these choices. At Zach Jackson Law, clients enjoy a combination of sympathy and proactive legal advocacy. This allows these individuals to achieve the case resolutions they desire while also having their biggest worries about divorce, estate planning and other issues put to rest. These qualities and others have made Zach Jackson one of the most respected names among North Carolina estate planning attorneys.